Mark Shuttleworth, CEO of Canonical, took to the stage at the OpenStack Summit Berlin to deliver his keynote, dealing with: product and support, MAAS support for ESXi, upgrading OpenStack smoothly and perfectly portable AI from the cloud to the edge. Mastering the delivery of OpenStack. The OpenStack community has, and attracts, amazing people and amazing technology, however, that won’t be meaningful if it doesn’t deliver for everyday businesses. “I say that representing the company which doesn’t just publish Ubuntu and the reference OpenStack distribution on Ubuntu, we actually manage more OpenStack clouds for more different industries, more different architectures than any other company,” said Shuttleworth. There are things that have to be right – we have to support every single OpenStack release with upgrades. That means when Stein and Train are released, we will deploy, as part of the test process, Icehouse on 14.04, then deploy workloads on Kubernetes on Icehouse. With that running in the cloud, and without losing a workload, the version is then upgraded up to Mitaka. We then take the running cloud and upgrade to 16.04 under the hood, then upgrade to Queens, then upgrade to 18.04 and on to Rocky, Stein and beyond, as standard. Shuttleworth said: “In this light, you’ll see what matters isn’t day two, what matters is day 1500, living with OpenStack, scaling it, upgrading it, growing it, that is important to master in order to really get value for your business. Competing for the CIOs attention is challenging. Giant public clouds such as AWS, Microsoft Azure and Google Cloud, are all competing for the CIOs attention and business, which means, if you are going to build a private cloud it has to be competitive and it has to make sense economically. Canonical adds a lot of value if it is able to advise your business on the way that you buy hardware. Thanks to being neutral to all architectures, where Ubuntu is the only OS that supports all the major architectures with OpenStack, we are also neutral to all the server vendors and have hard data to inform buying decisions. “Buying hardware for a cloud is different to buying hardware for the apps that you used to run and now want to run on the cloud,” said Shuttleworth. In this process, whilst the hardware is being ordered, we’ll run a series of workshops with your architects in order to optimise the OpenStack design. There are reasons to have a custom architecture whilst simultaneously preserving common operational frameworks. When the hardware is ready, we will lead the deployment, “deployment should take no more than a week and need no more than two people – mainly to keep eachother company,” said Shuttleworth. This whole process has to be on rails because in the long run, OpenStack has to be easy for a small team to operate if the costs are to be reasonable. Once the cloud is certified we’ll hand that over to either your operations team or to ours, if you are looking for a fully managed OpenStack. “All of this is designed to help you manage the operating costs of OpenStack and keep your private cloud in-line with the costs of public cloud, so that you have a successful multi-cloud strategy,” said Shuttleworth. Telcos became a key focus for Canonical a couple of years ago, since then, Ubuntu has become the platform for telco OpenStack. 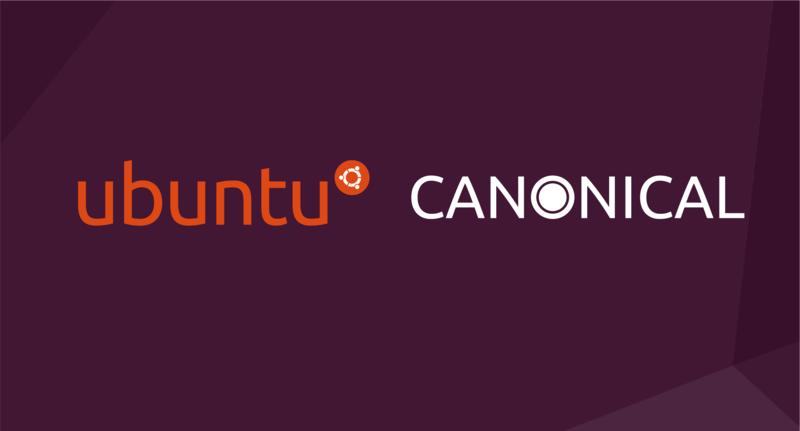 Last year, financial services were added as an additional focus, “I’m very excited to tell you that over that period, six of the world’s top 20 banks have signed up with Canonical to build open infrastructure on Ubuntu,” said Shuttleworth. The move into new industries has raised the bar and the complexity and diversity of things that we support. If you want to find out more about Ubuntu’s security and compliance. Of course, the focus is not all on big businesses, for developers, “I think it’s really important that we enable developers to engage easily with OpenStack,” said Shuttleworth. Which is why the company has developed a snap package that contains the whole of OpenStack. Call MicroStack, it can be installed on any of about 45 different versions of Linux. More information can be found online. Lots of companies have been announcing reference architectures for edge computing with Ubuntu and MAAS appearing as common primitives, even when the architectures are wildly different based on different requirements. MAAS, which is a lightweight provisioning engine that allows you to deploy operating systems on to servers remotely, will see version 2.5 released with the ability to deploy VMware, meaning that you will be able to run a remote data centre, deploy VMware on Windows, RHEL, CentOS and Ubuntu using MAAS. Artificial Intelligence is one of the big topics grabbing everyone’s attention, for Canonical, we can point to almost all of the AI research and development that you have either read or seen about, being done on Ubuntu. We work with giants in the field such as Google, Nvidia, Amazon and OpenAI to enable them to publish their work efficiently to developers and to enterprises. Shuttleworth said: “I’m most excited at the moment about the move of AI from the cloud, where training is done and analytics is done, out to the edge.” Amazon’s DeepLens for example, is an Ubuntu powered camera that is designed specifically to create a new class of image recognition application at the edge. Providing people with a seamless platform from the cloud all the way to edge with perfectly portable AI from your workstation, powered by Nvidia with MicroK8s (a snap of Kubernetes), through to your rack on OpenStack, which is widely in production, and then out to the public cloud “where that exact same stack, the exact same OS, the exact same tools all work – giving you perfectly portable AI,” said Shuttleworth. To hear more about Ubuntu and AI watch our webinar. Or to talk to one of the team. The post OpenStack Summit Berlin 2018, Mark Shuttleworth keynote appeared first on Ubuntu Blog.